Margaret Cocke Bartlett is a Senior Loan Officer with HSTM and has lived in the Centreville/Fairfax Station area for over 35 years. As a daughter of a retired Army Colonel she understands the importance of “On Time” settlements. 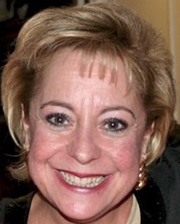 Margaret graduated from Elon University and has 32 years’ experience in the Mortgage Banking and Real Estate Industry. She enjoys people and works to help her clients make smart decisions on mortgages. She looks forward to speaking with you and assisting with your mortgage needs.